Nephrologic consequences of LUTS – why does it matter? 10:30 – 11: 00 How to get the patient and the family on our team? 14:10 – 14:30 What patients benefit from urodynamic studies? Go to the link below to find out more. 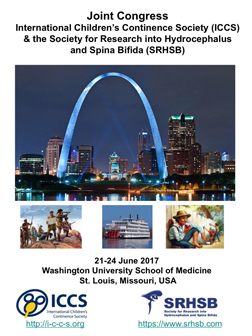 Make plans to come to the ICCS – Joint Congress of the International Children’s Continence Society and the Society for Research into Hydrocephalus and Spina Bifida (SRHSB) which is going to be held in St. Louis, Missouri, USA on the Campus of the Washington University School of Medicine. An international gathering featuring leading-edge research, clinical care and technological advancements for underactive bladder, including presentations from a world renowned faculty, panel discussions, work groups and poster sessions. The program will appeal to basic researchers, nurses, clinicians, academicians, industry representatives and other stakeholders from the fields of urology, geriatrics, gynecology, neurology and general medicine. 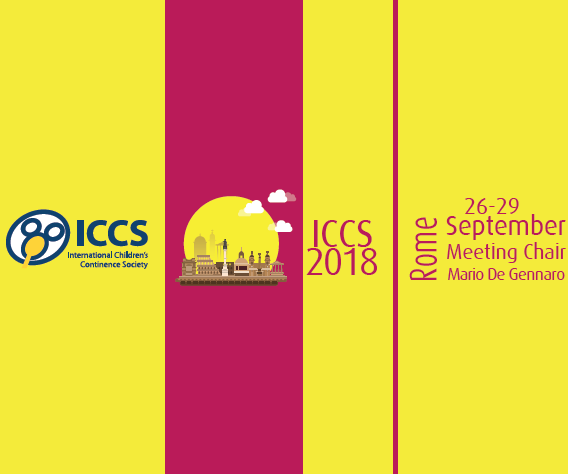 The ICCS will hold its 2015 annual meeting 14-18, October 2015 in conjunction with the European Society of Paediatric Urology, European Society of Paediatric Urology – Nursing, Society for Pediatric Urology, American Association of Pediatric Urologists, American Academy of Pediatrics/Section on Urology and Society for Fetal Urology. Email: ubarroso@uol.com.br for any contact. More information can be found at www.iccs2014umcutrecht.nl. More information can be found at www.pespos.org. The International Children’s Continence Society and International Continence Society and it’s organizing committee would like to invite you to submit an abstract for Moving Beyond Pediatric Incontinence: The Challenges of Transitional Care. The abstract acceptance deadline is December 17, 2012. The 2 ½ day meeting will host a broad range of healthcare professionals as they address educational gaps and new advances in the field. Dr. Jian Guo Wen, together with the ICCS Board, is preparing an ICCS course in Zhengzhou City, the origin of Chinese Kung fu, located in the center of China. This will be the first ICCS course in mainland China. Professors S Bauer, JC Djurhuus, S Rittig, TM Jørgensen, J Frøkiaer, S Yang, and JG Wen, and others are on the speaker list. It will be an opportunity to acquire more knowledge on kidney function, voiding physiology, urodynamics and diagnosis and treatment of bladder dysfunction, neurogenic bladder, incontinence as well as enuresis of children. The course will be of interest to pediatricians, urologists, urotherapists and nurses. If you want to get more details, please send e-mail to jgwen@zzu.edu.cn. Following a successful conference at the Royal college of Physicians, London, Friday October 12th -14th, 2012 registration is now closed. We are pleased to report that conference was fully booked one week before the start. In a very successful collaboration between ICCS, ERIC and BAPU, 426 attendees from 31 countries (see below) enjoyed joint and parallel sessions involving keynote lectures, papers, workshops and posters on state-of- the-art scientific evidence specific to bowel and bladder dysfunction in children. We thank all delegates for bringing and sharing their knowledge and expertise at this gathering and trust you have left with new networks and colleagues, new ideas and examples of good practice which will continue to make a difference to the lives of children and young people. We look forward to hopefully meeting again soon. The lectures and slides from the Joint Congress of the ICCS/ERIC/BAPU at the Royal College of Physicians in London on October 12-14, 2012 are available for viewing! Please click the link to view these state-of the-art scientific sessions on bladder and bowel dysfunction in children and young people. Goodbye and Thank you from London! The day before the annual meeting of the European Society of Pediatric Nephrology (ESPN) a joint workshop was be held in the lovely historic city of Kraków, Poland. The course was arranged by Dr Francesco Emma together with the ICCS Board and our Regional Representative for Central Europe dr Michal Maternik. The attendance was good and the setting superb. Dr Ricardo Zubieta, together with the ICCS Board, arranged this first ever ICCS course west of the Andes, with the assistance of our Regional Representative for Latin America, Dr Eliane Fonseca. A comprehensive program was presented in excellent surroundings. Translation English-Spanish was provided and the international speakers included Stuart Bauer, Tryggve Nevéus, Paul Austin and Eliane Fonseca. This will be the first time ever in Africa for an international, comprehensive course on bladder and bowel problems in childhood. Together with the ICCS Board drs Priya Gajjar and John Lazarus has made a tremendous job of bringing this course about. 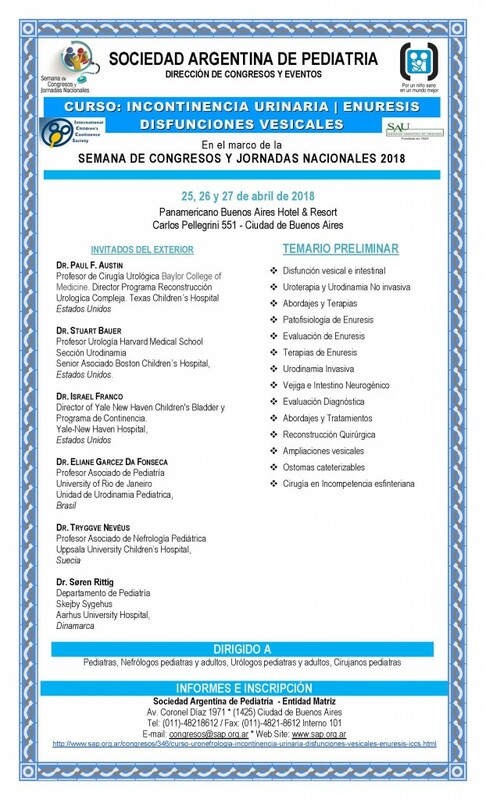 It will be of great interest to paediatricians, urologists, nurses, physiotherapists and be an opportunity to learn, exchange experiences, make new friends and improve the way we treat the children. Please log on to the course website for more information: http://www.iccs-capetown2012.co.za or click on the first announcement image on the left. 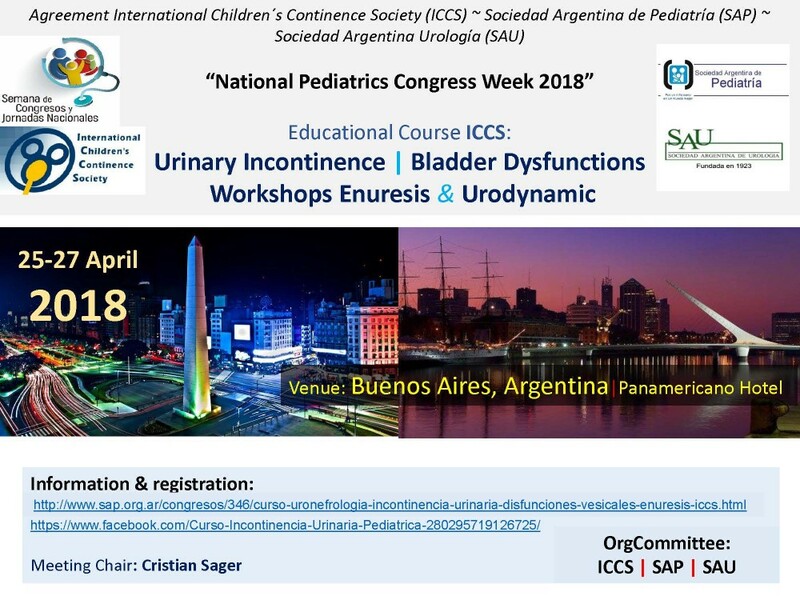 For the second time, the International Children Continence Society (ICCS) will participate along with the Pan Arab Continence Society (PACS) and the International Continence Society, to a full update on the diagnosis and management of urinary incontinence, in all ages. You will have the opportunity of attending a reach and complete scientific program, in the beautiful Arab Gulf. The UAE, the Modern City of Dubai and the UAE Capital, Abu Dhabi, have plenty to offer also on the social stand point, including sports, relax and shopping. 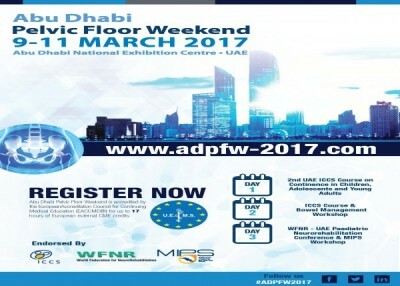 Convenient registration fees have been arranged for all delegates. This was the first time ever an international, complete course on pediatric incontinence and bladder problems was held in Russia! The Symposium was organised within the limits of the Russian Association of Pediatric Surgery’s Annual National Congress. Simultaneous translation between english and Russian was provided. We are deeply grateful for the hard work of Dr Natalia Guseva that made this course a success. During the biannual Brazilian Pediatric congress in Salvador de Bahia our ICCS Regional Representative, dr Eliane Fonseca, arranged for an ICCS session on bladder and bowel issues. National and international experts lectured and answered questions, with simultaneous translation English-Portuguese provided. The session was excellently organised and attanded by approximately 600 visitors. Afterwards dr Nevéus lectured for medical students of Salvador University, which was great fun! This course was organised by Prof Stephen Yang together with the Taiwanese Continence Society (TCA) and the Taiwanese Urological Association (TUA) and covered all aspects of lower urinary tract dysfunction in childhood and adolescence. Several international and national experts were lecturing and there were also very lively interactive group sessions and case discussions. The ICCS Board would like to express its warmest thanks to our friend Dr Yang for his hard work. During the 7th meeting of the Pan-Arab Continence Society (PACS) on February 3-5, our Regional Representative for the Middle East, dr Mario Patricolo, together with dr Mario de Gennaro and chief organiser Prof Sherif Murad, arranged an afternoon session on the ICCS and it’s role. Visit the meeting website. 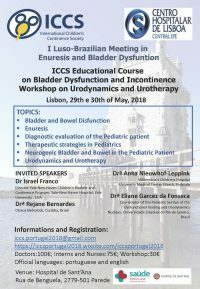 This very succesful course was open for all healthcare professionals involved in children with bladder or bowel problems and was arranged by Drs Michal Maternik and Aleksandra Zurowska. 1st UAE International Meeting on the Neurogenic bladder, and UAE – ICCS Basic Course on Continence in Children.